How much do you love your mother? Everytime I pose this question, I think of my grandfather as he towered above me as a child, asking me the same question about his daughter. I would say “A lot!” to which he would retort, “That’s not enough,” and hold out his thumb and index finger in a pinched position with the fingertips about an inch away from each other and say, “I love your mother this much but the long way around.” If you love your mother that much, then do her a favor and take a dreary chore such as carpet cleaning off of her to do list. 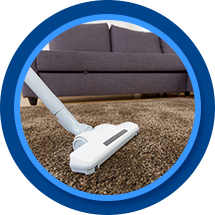 Thorough carpet cleaning can be a tiresome task, especially if you do not have the most efficient or thorough equipment. Instead of renting the equipment and doing it yourself, give your mother a carpet cleaning gift by scheduling an appointment to have the carpets in her home cleaned. No matter how old you are, children (and pets) are always the messiest part of the home. It’s not on purpose, of course, but children are notorious for tromping into the house without taking off shoes, dropping cheese balls on the bright white carpet, or spilling that glass of red wine. Do your mom a favor, kids, and sign her up for a day with the carpet cleaning experts in Casper. We’ll be sure her carpets are cleaned exquisitely because we know everything should shine as bright as your mom herself. Present this Mother’s Day gift with a big hug, a small back massage, or some beautiful flowers to truly make your mom feel just how much you love her.